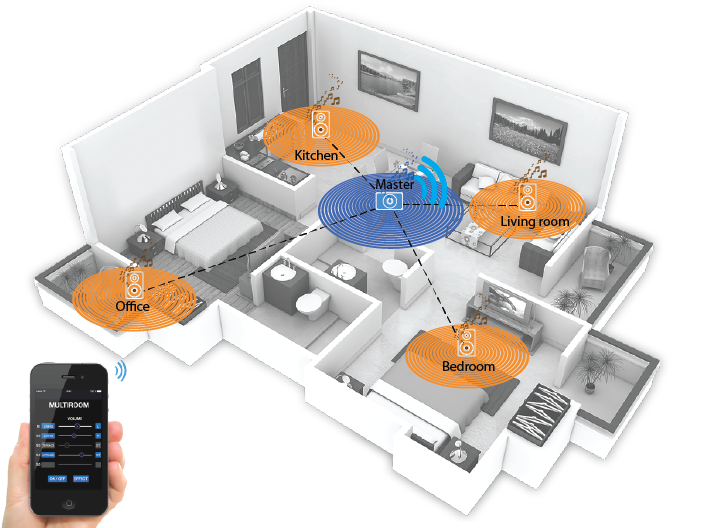 Users simply need to pair their smartphone, tablet or computer to the base unit via Bluetooth A2DP, then the base speaker communicates with up to four satellites using proprietary RF wireless technology. Music can be streamed from apps like Spotify, Deezer, YouTube or Pandora, as well as any device's own music library. 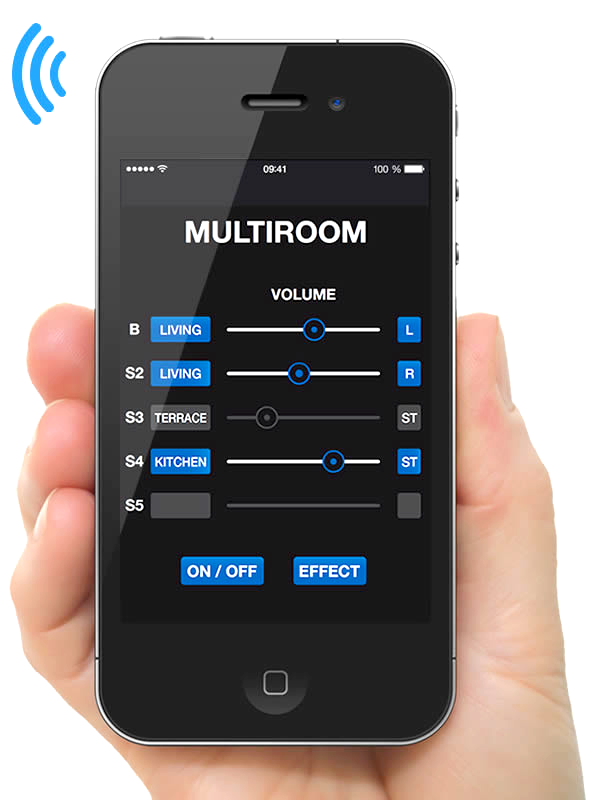 Our free Multiroom System App is compatible with Android and iOS devices. 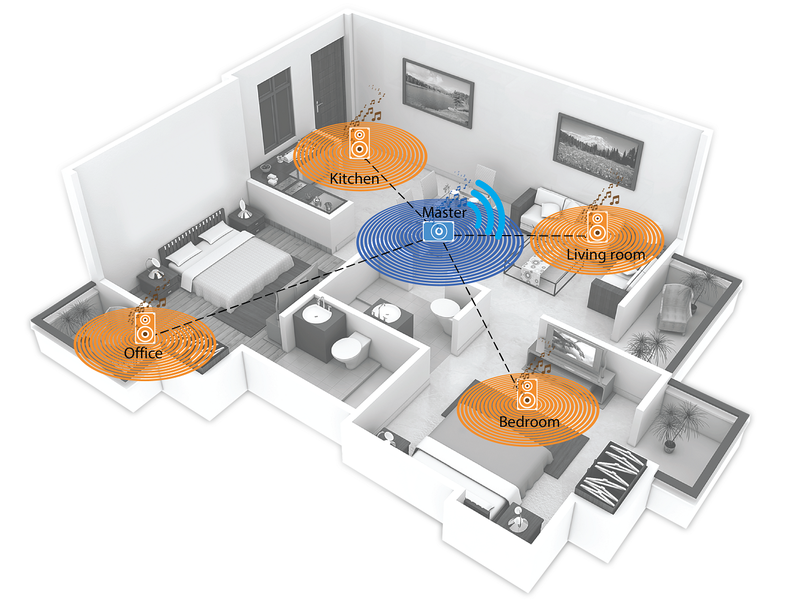 Once the Multiroom System is installed in your home, you will be able to enjoy wireless music in the rooms of your choosing. The range is around 32 to 49 feet (10 to 15 meters). The Multiroom System app can be installed on smartphones, tablets or computers, and it’s compatible with Android, iOS and Windows. The app allows you to set the volume of the speakers and change other settings such as full stereo mode, equalizer, etc.